At DICE, we spend a lot of time listening to our community and encouraging our teams to shape our products and updates based on your feedback. There is one specific area of feedback that we’ve had our eyes on for a while: the potential friction when playing with friends where some own a Battlefield 1 Premium Pass and some don't. Tied to this is our ambition to make sure all maps of the game have as many players as possible to secure a good experience for everyone. I am happy to say that after looking at different ways to address this, we have found an approach that we are excited to try out together with you. As a player who owns Battlefield 1 Premium Pass you will be able to bring your friends in Battlefield 1 along to play on the new maps! When creating a party in Battlefield 1 you may notice something new: if someone owns a Battlefield 1 Premium Pass the party will become "Premium Enabled". This will allow anyone in that party to play on all maps, regardless if they own the content or not. The access is available as long as the party is "Premium Enabled". While all players will be able to play on maps accessible through Battlefield 1 Premium Pass through Premium Friends, some experiences are exclusive to Battlefield 1 Premium Pass owners. In a “Premium Enabled” party, only owners of a Battlefield 1 Premium Pass or the specific expansion pack will earn XP from the maps exclusive to that expansion. We will save the XP for everyone else and grant them retroactively if they decide to get the Battlefield 1 Premium Pass for themselves. 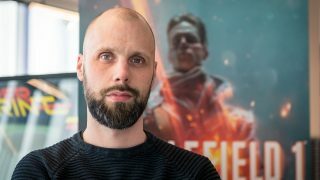 Only owners of a Battlefield 1 Premium Pass or the specific expansion pack will be able to spawn in with weapons and vehicles unique for the expansion. Only owners of a Battlefield 1 Premium Pass or the specific expansion pack will track progress towards the unique medals and codexes for the expansion. You are all invited to try this new way of playing with friends and enjoy Battlefield 1 content. We will activate the test run of Premium Friends during the upcoming Battlefest, which starts on March 30. We will pay close attention to your feedback on Premium Friends. It’s our goal to work towards molding this feature into something that embodies our commitment to you, our amazing community. Get in there and play the objective!